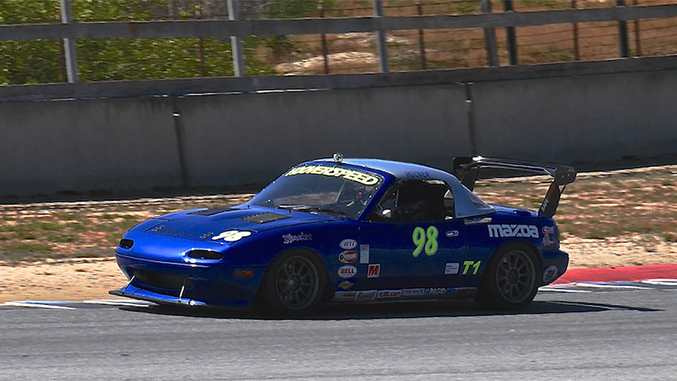 We’ve said many times, and we’ll happily say again: the Miata is the greatest amateur race car in modern times. And since Miatas work in so many classes, we should add that the Spec Miata is, from many angles, the greatest of the Miatas. There could be a lot to say to support this, but for the sake of simplicity, we mention a) that the Spec Miata is, by far, the most popular amateur race car, b) Spec Miata car counts at most weekends are high and the racing is intense at the front, middle and back of the pack, c) the Spec Miata is a fast enough car to have a decent learning curve, while being slow enough to encourage the development of good habits. Oh, and driving a Spec Miata is really, really fun. Still, it isn’t hard to imagine a racer wanting something else. By “something else” we specifically are thinking of racers who have driven Spec Miata and would like something faster to continue their skill development or to simply have a different experience. Of course, we can also imagine some racers who simply can’t warm up to a Miata. Either way, for the most part you’re going to pay more for a race car that isn’t a Miata, so in this series we look at what you might “move up” to. We’ll examine the candidates and consider their pros and cons. We’re looking for feedback on what you consider important and why.
. Reasonable price is key. Almost everyone would love to “move up” to a GT3 Cup car, or a vintage Le Mans car or an F1 car or…some car that isn’t going to happen because it is too expensive and too costly to run. A used Cup car, for example, is a $100k proposition properly sorted and costs $1500 to $2000 an hour to run. An F1 car might cost $500k to $2M and costs who knows how much to run. When racers get serious, they want a car that is $5k to $30k more than a Spec Miata. If you figure an SM can be built for $20k, and that used prices will be 50% to 75% of that, then we’re talking $25k to $50k cars.
. Car counts need to be “usable”. 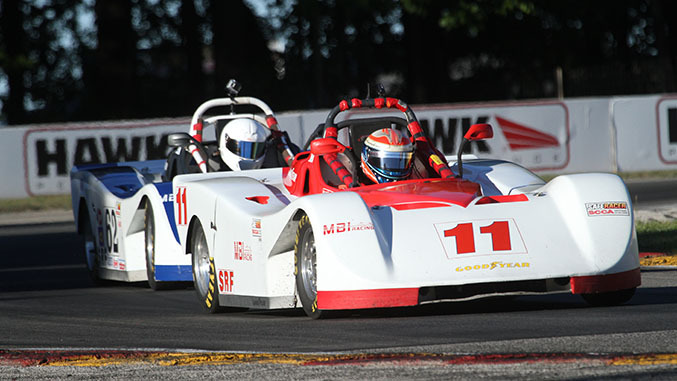 Racers want to race, and that means they want 5 to 10 cars from their class on grid, or more. This requirement is aligned with the idea of reasonable price because it is so hard to get decent numbers at higher price points because there aren’t that many high priced cars (e.g. 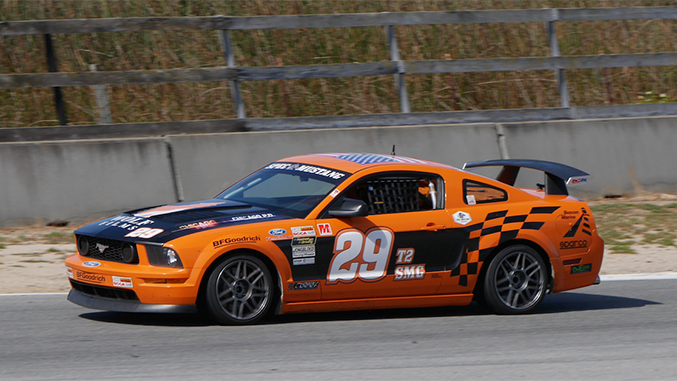 recent SCCA event: SM: 47 cars; SRF: 15 cars; GT1/2/3: 6 cars, or 2 per class). Now there are organized series for high end cars (NARRA TA, Ferrari Challenge, etc). But between the $200k to $300k level and SM, you need low prices and low run costs to get decent grids.
. A sexier car than a Miata is needed. A lot of this is about branding as much as car type. BMW or Porsche beats Ford or Nissan. A sports car beats a sedan. A V-8 beats a 4-cylinder. This requirement is to a degree in conflict with the earlier points, of course.
. Low run cost is important. The smart people, and there are a lot of smart people running SM, know that the run cost of a car is as big a deal as acquisition cost. In addition, low run cost generally means a car that doesn’t break. And, since racers want to race, a broken car is a bad car.
. The car should be recognized by multiple sanctioning bodies. Ideally a car could run in SCCA, NASA and something else because that means there are a lot of race weekend to choose from. It also means that I can run at some special tracks that may not offer that many races (COTA? Laguna?). We’ll be examining each of these cars in subsequent installments of this series. If you have other thoughts about what should be on this list, let us know.